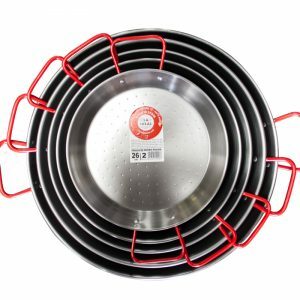 Create the perfect paella with this our traditional-style steel paella pan laminated steel pan from Garcima. Garcima are probably the best known paella pan manufacturers in the world, and their expertise is reflected in the quality of their pans. The traditional steel construction means you can get the unique flavour that builds up after multiple uses, giving you a fuller, and more authentic taste. 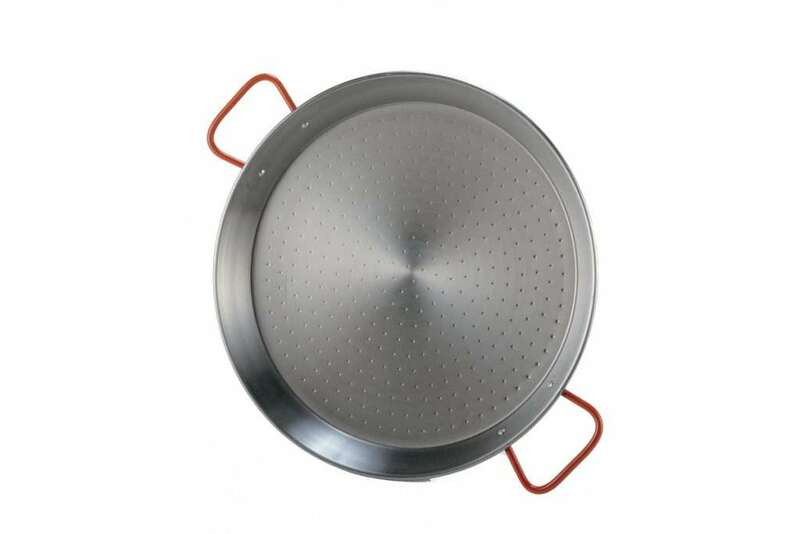 The design also makes the pan extremely durable, withstanding constant use in kitchens and outdoor cooking areas. 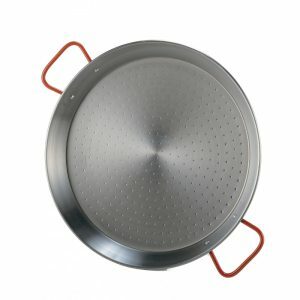 The pans are suitable for use on paella burners, open fires and gas hobs. 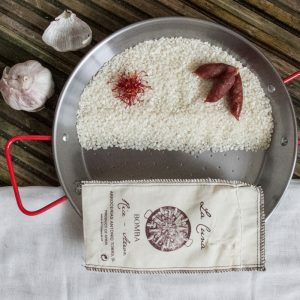 Ideal to create the perfect paella home and can be found in restaurants across Spain, and the world! Not suitable for dishwashers; wipe with a little oil after washing the labels off and after each use to prevent rusting. CARE INSTRUCTIONS: Not suitable for dishwashers; wipe with a little oil after washing the labels off and dry thoroughly repeat after each use to prevent rusting.